Thousands of people need Changing Places toilets to enable them to get out and about and enjoy the day-to-day activities many of us take for granted. The Changing Places Consortium launched its campaign in 2006 on behalf of those people who cannot use standard accessible toilets; this includes people with profound and multiple learning disabilities and their carers, as well as people with disabilities such as motor neurone disease, multiple sclerosis and cerebral palsy. Changing Places is sponsored officially by Aveso; a joint venture between OpeMed and Astor Bannerman who have a combined wealth of experience in the healthcare equipment industry. Aveso have now sponsored the Changing Places Campaign for since 2013 and intend on supporting the Campaign as it continues to grow. We aim to continue building relationships with the campaigners who work so hard and dedicate their lives to making Changing Places happen. Please contact our technical team at Aveso on info@aveso.co.uk or 01242 822979 for advice, CAD design, high quality products, installation or servicing. The Centre for Accessible Environments (CAE) has been the leading UK authority on inclusive design for over 40 years; providing consultancy, training, research and publications on building design and management. 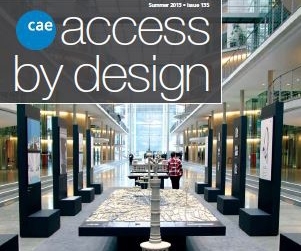 CAE pioneered the provision of access guidance for building designers based on collaborative research with disabled people. CAE is a leader in developing the case for designing for disabled people in the context of mainstream inclusive design. OpeMed and CAE have come together in 2015 to form a strategic partnership. As a strong figure in the inclusive world, the Centre for Accessible Environments (CAE) will work together with OpeMed to promote the Changing Places Campaign and the benefits of ensuring accessible toilets accross the U.K.
Euan’s Guide features disabled access reviews from disabled people and their friends and families. 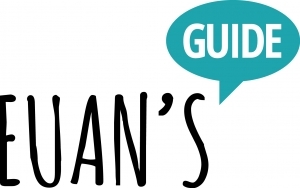 As well as tourism and entertainment venues such as hotels, restaurants, bars, theatres & visitor attractions, Euan’s Guide features disabled access reviews of any place that is visited as part of everyday life such as post offices, railway stations, supermarkets and many others. Search to find a venue in your area and, if there isn’t one, write a review for the first one now! OpeMed is working in partnership with Euan’s Guide to provide a connection between Changing Places and the end user. As the co-sponsor we want to ensure that the Changing Places facilities are known about and are being used and reviewed. 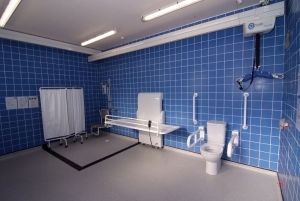 Working with Euan’s Guide secures a real value to businesses and venues installing a Changing Places facility. The vision is to provide high quality, fully accessible holiday accommodation for the severely disabled and less abled traveller by means of a UK and overseas network of well equipped, internally identical flat space bungalows. 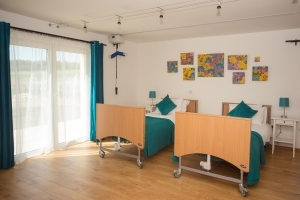 The aim of the Charity is to provide purpose built holiday and respite accommodation specifically designed to the highest standards, for the disabled, their carers and families. The identical, three bedroom bungalows are exceedingly spacious, fully equipped and will be in beautiful locations, or close to care facilities which will offer added benefits. Grants and sponsorship will enable a full spectrum of guests to enjoy our holidays, resulting in improved mental health and coping ability for a person and their families as a result of a break. OpeMed provides Ceiling Hoist, Ceiling Track, Grab Rail and Showering equipment for Flat Spaces Holiday Homes and will continue to support the Charity as it expands across the UK. Read our Flat Spaces blogs here. Revitalise is a national charity providing short breaks and holidays (respite care) for disabled people and carers for over 50 years. Revitalise also offers inspirational opportunities for volunteers through one of the largest, most diverse volunteer programmes in the UK. 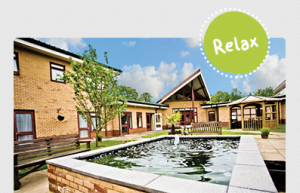 Revitalise currently run three accessible holiday centres in Essex, Southampton and Southport. The Revitalise mission is to enable disabled people in the UK to access essential breaks with care, and provide inspirational opportunities for volunteers. We firmly believe that disabled people should have the same rights, freedoms, responsibilities and quality of life as those without disabilities. OpeMed and Revitalise have come together in 2015 to form a mutual partnership and cohesion between our equipment and our services. As a leading service provider to disabled people and their families, Revitalise are a natural partner to OpeMed whose range of transfer and care equipment are depended upon by many disabled users. We hope to work together to achieve not only a widespread knowledge of the superb facilities offered in the Revitalise lodges but also an increased level of product quality throughout the Revitalise offering. 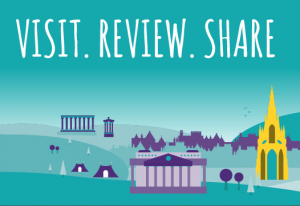 Discover somewhere new for Disabled Access Day!